Sheridan Smith and Darius Campbell starred in the sold out production of Funny Girl at the Menier Chocolate Factory. Funny Girl ran in London West End’s Savoy Theatre from spring 2016, breaking the theatre’s box office records. and then ran on a major UK tour and its worldwide cinema release in October 2018 (below). 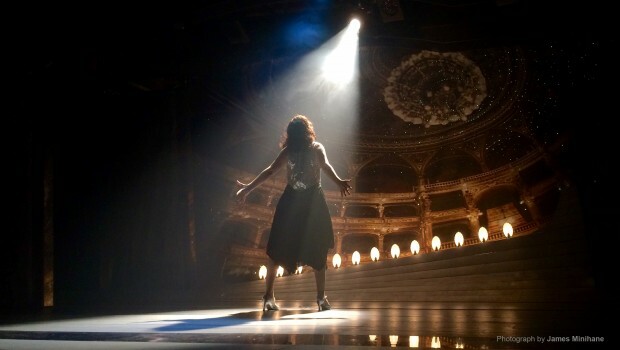 Funny Girl was broadcast in cinemas nationwide in October 2018 as part of a worldwide release of the smash-hit stage show. The production was filmed during the final week of its run at the Manchester Palace Theatre by Digital Theatre, and is released in cinemas by Trafalgar Releasing. Filed under Latest. RSS 2.0 feed.